It’s time, ok it’s way past time, for another Blogging Through the Alphabet Post. Last night our family, especially 17 year old BooBear eXperienced an eXciting and eXhilarating moment. Just before dinner the phone rang. The caller id surprised me. Was it spam? Was it a prank? Why would *they* be calling and why at this time of night? Who was it? My daughter’s first choice for college. But before I share more let me back up a few months or longer. When BooBear entered high school as a freshman she wasn’t really planning on attending college. At least not a formal brick and mortar building with regular classes. Somewhere around the end 10th grade she decided that maybe, just maybe she would like to go off to a university. She knew she wanted to study music. The playing and practicing of the piano consumes much of her time. The instrument owns her heart and she wants to share that love with others. She began to research colleges, universities and schools of music. She needed to explore what kind of degree she wanted. She wants to teach music but not as a school teacher but instead have a private studio where she can share her love of music. She also knew she needed to take a serious look at her high school plan and think about taking the big bad scary SAT. She began to study and prepare for the SAT using College Prep Genius’s SAT PREP program that we reviewed for the crew awhile back. She took the test the first time at the end of her junior year. She took it a second time in the fall of her senior year. She narrowed down her choices and filled out a college application or two. We thought we had all of our ducks in a row. Transcript ~ Check, SAT scores ~ Check, Academic Recommendation ~ Check, Senior Course of Study plans ~ Check. We studied the entrance requirements for her first choice college. We re-worked her senior classes to include some suggested electives and I cleaned up subject/course titles to more accurately match the format of the university. But we hit a glitch. We waited and waited for *some* word. Nothing. No fat letter of acceptance. No skinny letter of rejection. She applied for and auditioned for music scholarship. We knew they had to have the application for admission because otherwise she would not have been given an audition slot but the audition came and went and no word. Taking responsibility for herself she contacted the admission office. They were waiting for the SAT scores. Oh dear. Those were *supposed* to be sent automatically by the College Board right after the tests were taken. BooBear paid the fee and had the SAT scores resent to the school. The admissions office sent her an email stating that they had received the scores and we would have an answer within a month. A MONTH! 30 more days of waiting!!!???!!! In the meantime we had started using College Common Sense (read my review here.) and had completed the FAFSA and with the hope of college still on the table she began searching for private scholarship opportunities. She’s working some with March deadlines. Living in a holding pattern. Waiting. Waiting. Waiting. So back to last night. The phone call. Remember we have NOT heard a word from the college. No fat letter. No skinny letter. My daughter answered the phone. I wish I had taken pictures of her face. You see, it was the Dean of Admissions calling to tell her that they had reviewed her application and they were pleased to tell her that she has been accepted and based on her “good grades and test scores” has been awarded a scholarship. The details will be in the fat letter that should be on its way to us. The scholarship is an academic one, a merit award. We’re thrilled. We are eXcited. What an incredible eXhilarating eXperience for a senior in high school to get a phone call saying “yes we want you and yes we’re going to give you some money towards attending.” She’ll still need more financial aid but wow. She earned an academic scholarship. I feel like I’ve been completely validated as a home education parent/teacher. I think I might just have done something right. My husband and I are teetering on the edge of a new season in our lives: College Age Children. Our oldest daughter is a senior in our home school. She’s planning on attending college in the fall. We figured out the “taking the SAT” part and stumbled through the “looking at our college options”aspect but we know our daughter will need financial aid because we cannot afford to pay for college. We’re clueless though. When do you fill out the FAFSA? What do those initials mean? How do I get that information to the college? Where do I get information on scholarships, grants, and loans? How do we find scholarships? Denise Ames with her College Common Sense website seeks to assist parents and students with their goal of attending college. We’ve been using the Going to College and Paying For It Online Video and Workbook program. College Common Sense grants access to the Online Version of the program through a log in process. You’ll use a user name and password. The LOG IN is very easy to find as it is right on the home page as a link on the left hand side. Please note that though there is a physical workbook available with the DVD the online “workbook” are the PDF files. We did not use a spiral notebook instead my daughter used sheets of notebook paper and created her own method of organizing the scholarship information. This product has GREAT potential. The idea is FABULOUS. Parents, especially home school parents and parents whose first child is getting ready for college, need a road map to help them navigate the process. As a home school parent, we don't have a guidance counselor at the high school that we can use to get resources and ideas. I wanted to like this product because I need a product that will help me to help my daughter wade through the process. Unfortunately, I was disappointed with Going to College and Paying For It. Too much repetition. She often says the same thing multiple times in each video. This becomes distracting. The Material is not arranged in an order that makes sense to me. It makes more sense to me to talk about the scholarship binder before talking about finding a scholarship or where to look or hunt for a scholarship because that is information that I would put in the front of my binder and NOT in a spiral notebook but that’s just how my brain works. I found the videos that are part of Going to College and How to Pay for It program distracting. She does not look at the camera. I think it would be so much better if she looked at the camera so that it would feel like she is talking directly to me. I found the “Put It All Together” section irrelevant to financial aid. The encouragement to beware of the choices you make is important but seems out of place in a product that purports to provide an approach to financial aid. This video would work better as a “Why You Should Go to College Seminar” but doesn’t fit with the “How to Pay for College” theme. I found it confusing to have the videos and PDF files refer to a “workbook” when the format isn’t really a workbook. There are no page numbers and it was frustrating to hear or read a reference to a “workbook page 15” and not be able to easily locate the page in question. I wasn’t looking for a self-help motivation seminar, nor was I looking for a program to convince my children to attend college. These other topics distracted from what I really wanted: to gain an understanding of how to apply to colleges and pay for a college education. I found that I did not need both the videos and the PDF. There was too much overlap of information. The PDF alone was enough for me. I found the PDF files to be helpful; especially the How Financial Aid Works and All About the Free Money because they were concise, short, easy to understand and explained what I needed to know right now to get started. I’d love to see these PDF’s offered individually apart from the videos. This program did help us gain a better understanding of the FAFSA. (Free Application for Federal Student Aid) I do now understand the various types of financial aid as well as the difference between scholarships, grants, and loans. I did appreciate knowing before filling out the FAFSA that both parent and student would need to apply for a special pin. I think having this information will smooth out the process for the next child in line. She’s beginning the “research colleges and majors” and “what am I interested in” phase. She’s learning from the mistakes and stumbling of her older sister and will have a less stressful senior year. If you have younger children, children in middle or junior high or perhaps early high school, you may want to check out the Free Lesson Plans and Free Monthly Newsletter that Denise offers. You can sign up for them right on the College Common Sense website. The same information in the video is available in the free lessons, however, it is in smaller pieces. There are more activities for younger children and the Free Lessons include word studies, reminders to practice timed tests and group projects. The Going to College and Paying for It program is available in two formats. A physical DVD and workbook for $50 plus shipping or the version I received with is $25 for one year of log in access to videos and PDF files. Click HERE to visit the Schoolhouse Review Crew blog to read what others have to say about College Common Sense. All information is correct and accurate as of the date of this review. Disclaimer: As a TOS Crew member, I received this product free of charge to review. I am required to write a review but I am not required to write a positive review. This review contains my and/or my daughters’ honest opinion with, hopefully, enough detail as to why I/ we liked or did not like a product so that my readers can make an informed decision. I received no monetary compensation. I am disclosing this in accordance with FTC regulations. I know I’ve posted a “Hungarian Goulash” recipe in the recent past but this one is different. Years and Years and Years ago in time BC (Before Children. Well actually Before Marriage but I didn’t like the sound of those letters together) I had a boss who made this incredibly tasty and yummy hamburger hotdish thingy for lunch. He called it “Hungarian Goulash”. Since I always think of a tomato based sauce when I think of goulash I’ve put the word “Hungarian” in quote marks and added the word creamy. My daddy used to make something very similar but it wasn’t creamy (or tomatoey (yes I know that is not a word.) He called his “hash”. Neither of them however, used the crock pot. This recipe combines the green pepper and onions my dad added with the creaminess my boss, Rick, used and added the convenience of the slow cooker. I include green beans giving this dish a flavor that resembles the Minnesota favorite “Tator Tot Hotdish”. For those of you not from the upper Midwest a hotdish might be called a covered dish or around here casserole. 1 sm onion, chopped (if your family likes onion you could use a medium. I often will use 1/4 to 1/2 of a large sweet onion such as a Walla Walla onion. Combine ground beef mix with potatoes and green beans in the crock pot. Cover and cook on low for 8-9 hours or on high 4-5 hours. Despite the huge amount that this recipe makes (8 servings?) I have yet to have any leftovers. I think maybe I need to serve more than just a salad as a side dish if I want to have some of this for myself for lunch the next day! Submitting this to the Schoolhouse Review Crew Blog Cruise Recipe Share which will be live Tuesday February 26. This recipe is also linked up to Try a New Recipe Tuesday! I had never head of A+ Tutorsoft, Inc before becoming part of the Schoolhouse Review Crew. The idea of multimedia presentations with interactive teaching sessions intrigued me. Supergirl and I have been using the A+ Interactive MATH program. For the online program I created a username and password for myself, the parent/teacher. I was then able to go to my dashboard and add my student. I created a username and password for her as well. I had no problems with creating accounts at all. In order to use the program though you will need to disable pop ups on your browser. The actual program will launch in a separate window. whereas the student account has a Progress Tracking tab instead. Certificate of Accomplishments ~ This is also available on the student tab as part of the Progress Tracking. I like that the teacher account has all the same features as the student account. This means that I can preview a lesson or worksheet or test a feature without messing up my daughter’s progress. By having a teacher account with all the same functions, I could get to know the program before beginning to use it with my student. It was especially helpful for me to have access to the same lessons because I found it necessary to rearrange lessons to better suit Supergirl’s developmental understanding. In my homeschool math is a subject we strive to study every day. The easier a program is to use, the more successful I will be in accomplishing my “math everyday” goal. A+ Interactive MATH is easy to use. Log in, watch a multimedia lesson presentation, practice with the fun interactive Q & A session and then do a worksheet. A+ even includes a PDF Lesson Plan guide that tells you which sections to complete each week. For a busy home school parent, having a lesson plan structure to follow makes life so much easier! Unfortunately, this program wasn’t the best fit for Supergirl. She has DiGeorge Syndrome and with that chromosome disorder comes some learning challenges. This meant that we often spent more time watching and re-watching a lesson and working through the Q & A more than once. I am so glad that the program allows you to watch the lesson multiple times and that you can come back day after day and watch it again. The multi-sensory approach of A+ is wonderful but it isn’t quite enough for Supergirl because she needs a more kinesthetic approach. She requires more hands on manipulating of objects to grasp the concept. So whenever possible I added some manipulatives for her to use when working with the program. Because of her need for a more hands on approach and her need for more repetition we didn’t follow the standard lesson plan. I also discovered that A+ was more advanced earlier in the program than I anticipated. I decided I needed to work out of order and touch on topics that she showed more readiness. She worked in several units doing what lessons she could but has not yet completed a unit in its entirety. I’d love it, if it were possible, to have a few seconds pause added to the multimedia lesson presentations when the cheerful presenter asks a question. She never waited for the student to respond. It would be great to have a pause so that students who like to respond (like my daughter) could say the answer. Sometimes the presenter would say “if you said … that’s correct.” It would be nice to have a pause and then have the presenter consistently use the phrase “if you said”. I’d like to see the sections on reading number words divided up into smaller pieces and re-arranged. For example teaching the words for one through ten early in the scope and sequence and teaching the larger more complicated written numbers towards the end of the program. I wish there was a way to make it not so easy to hit next instead of submit. When helping my daughter one of us would almost always click next instead of the submit on the frog’s belly. While A+TutorSoft Interactive Math has not been the best fit for Supergirl, I do really like the set up of the program. I love the immediate feedback available with the interactive question and answer (Q&A) that is available with each Multimedia Lesson. I like the automatic grading feature of the online worksheets and I love that I can generate additional worksheets if she needs more work in an area. I especially love the printable resources. This was very helpful while working through the evens and odds lesson. Though this has not been a good program for Supergirl to use as a primary math curriculum the format of the multimedia lessons make it a fun supplement to re-enforce concepts when she needs additional practice. I do think this program would have worked very well for my oldest daughter when she was in 1st grade. She loved math and numbers and would have been far more ready for this program. To learn more about the program you can read the FAQ. A+ TutorSoft, Inc. also has a FREE Demo available. Vendor Name: A+ TutorSoft, Inc.
Age Range: We reviewed 1st Grade program. Other crew members reviewed Grade 1 though 4. A+ TutorSoft, Inc. also has math programs for higher than 4 grade available. Formats available: I received the Online subscription. A CD Software version is also available. If you are looking for a computer based math program, I encourage you to try the free demo and read the reviews of my fellow crew members. Visit the Schoolhouse Review Crew blog to read what others have to say about A+ Interactive MATH from A+ TutorSoft, Inc. Even in this modern era of technology, I still believe good penmanship is an essential part of early elementary education. It’s important to learn to print clearly and to be able to read and write cursive. I’ve heard many the home school mom lament over the crying about handwriting lessons though I’m not sure who was doing the crying, mom or student. Handwriting Without Tears, developed and created by an occupational therapist, provides a solid foundation for both printing and cursive. Supergirl and I were blessed to be able to review the newly revised 1st Grade program. I found the Teacher’s Guide to be so helpful that I want to talk about it first. Like many home school families we survive on one income and like many other home school moms I don’t want to purchase a teacher guide if it really isn’t necessary. How hard can it be to teach 1st grade printing, right? Not hard really, but this teacher’s guide makes it easier to teach. I believe the heart of the Handwriting Without Tears program (HWT) is contained in the Teacher’s Guide. Yes, it is written for classroom situations and many of the suggested activities are not applicable in a home school environment, but it contains Lesson Plans for each of the student workbook pages. In addition to the lesson plans the guide also includes information on foundation skills and teaching strategies for writing capitals and lowercase letters. With the teacher guide, I know what a good pencil grip is, how to achieve it, and why it is so important. In the back of the guide is a suggested 36 week schedule. The first 18 weeks include assignments for the student workbook. For the second semester (weeks 18-36) the Teacher’s Guide states: “The workbook ends, but handwriting practice doesn’t. We’ve planned many activities and a routine for maintaining the good habits you carefully taught.” (pg 159) I love that I don’t have to figure out what to do after she finishes the workbook but still needs more practice with printing! Oh and did I mention that there are online resources available as well? Inside the front cover of the Teacher’s Guide is a web address. On the back cover is a passcode. Though intended to support classroom teachers, I found several items that we can use, such as some “take home” practice sheets. We set a goal to work on handwriting for 10-15 minutes each school day rather than setting up a particular number of worksheets. I took to heart the advice to set the pace and use the guidelines as a sequence. A typical handwriting session involves learning (or re-learning) the lowercase letters in the order suggested in the teacher’s guide. We do this using some of the suggestions (or adaptations of those suggestions) such as “air writing”, wet, dry, try, tracing, practicing writing using a whiteboard, and our favorite practicing on the double line chalkboard. We don’t use all the suggested activities every day but a few each day. We spend at least one session, more often two or three, working through the formation and spacing of each letter before attempting to use the workbook. This gives Supergirl lots of practice with each letter and by waiting to use the workbook she has more confidence and feels much more successful. The workbook is then “easy” rather than frustrating. It may take us longer than 18 weeks to finish the workbook but that just means we’ll need less practice time before starting the 2nd grade program. The Product: 1st Grade Writing Program including My Printing Book and the 1st Grade Printing Teacher’s Guide. Age Range: Though we reviewed the 1st grade program, Handwriting Without Tears offers handwriting instruction programs for pre-k through 5th grade. In just a few short weeks, I have seen improvement in pencil grip and letter formation. I’ve also noticed an increased desire to try copy work in other subject areas. I highly recommend Handwriting Without Tears because of its developmental approach to teaching handwriting. The Schoolhouse Review crew reviewed the Wet/Dry/Try App and several grade levels of the new editions of handwriting. Visit the Schoolhouse Review Crew blog to read what others have to say about the different products from Handwriting Without Tears. We received the Teacher’s Guide and Student book for review. I already owned the double line chalkboard from HWT pictured above. I would like to say *I* made this for dinner but really I think the credit needs to go to my 17 and 15 year old daughters who did the grunt work. I gave suggestions and direction. I supervised but they did the peeling and the chopping and the combing. It all started with sending BooBear to the freezer to “find some meat. Cubed beef or chicken or something that we can make for dinner tonight” She went freezer diving and found some cubed round steak. Then we had to decide what to DO with said beef cut into beautiful cubes. (Yes beautiful. It was beautiful to find that I had thought ahead and cubed the meat BEFORE we froze it!) Beef Tips? Beef Stroganoff? Hungarian Goulash? Did I want to serve it with rice or egg noodles? Oh wait no egg noodles. I assigned BooBear the task of hunting through the Fix-It and Forget-It Cookbook for inspiration. She found the uninspiring title of “Absent Cook Beef Stew.” We made a few changes and when the meal was ready we named it: “Chunky Beef Veggie Soupstew”. The liquid is very thin and not a gravy but the ratio of liquid to chunks of meat and vegetables is on the small side so it’s thin like soup but really it’s more of a stew. 1 1/2 – 2 onions chopped. I tossed it all in the crock pot and mixed it up. Cover, cook on high for about 5 hours. (I always use high because I *never* get the crock pot going before NOON). You want to cook it until the meat and potatoes are nice and tender. If you were going to cook this on low I would suggest 10 hours minimum. This generously served my family of 6 with enough left over for daddy to take to work for lunch. Everyone had seconds and this recipe will be added to our list of ‘serve regularly and often” meals. Supergirl has fallen in love with Spanish. She has begged to learn Spanish. Sometimes I’ll find her watching her favorite DVD’s with the audio language setting set to Spanish. So knowing how much she would enjoy this program I jumped at the chance to review Song School Spanish from Classical Academic Press. Classical Academic Press provided us with a Student edition (with CD) and a Teacher Edition copy of Song School Spanish. This is the same format as their Song School Latin program that we reviewed (and LOVED)in a past crew year. In addition to the 31 Chapters (Lessons) this 173 paperback student edition also contains CD Track Information, an introduction containing a suggested schedule, a pronunciation guide, a chapter by chapter glossary and alphabetical glossary. Each Lesson introduces a few words or phrases and uses chants/songs and hands on activities to reinforce the learning. Review lessons are interspersed with new material. These review chapters occur after 3 to five lessons and cover the material since the last review chapter. Chapter Songs ~ I love this feature because the song lyrics and track numbers are included for easy reference! Show What You Know ~ This section checks for understanding using “circle the correct answer” or “match the English and Spanish” activities. Review ~ In addition to review chapters each chapter, beginning with Chapter 12, includes a small review section usually using the “circle the correct answer” type of activity. Master Your Words ~ These are fill the blank questions grouped by chapter number. Master your Songs~ This includes the lyrics and CD Track numbers. Activities ~ This varies from review chapter to review chapter but usually includes several “circle the answer” type activities. Chapter Story ~ This is my favorite feature of the Review Chapters. Each story is in English but incorporates Spanish vocabulary. This 147 page paperback book contains an introduction which includes a suggested schedule, The Song School Spanish Student Book with answers, Song School Spanish Activities, and Song School Spanish Activity Answers. The student book with answers section has two student pages on each teacher edition page. This means the print is small. I find it difficult to read even with my reading glasses. Some of the student pages contain a teacher’s note or suggestion. Some of these were helpful but most are intended for use in a regular classroom setting. My favorite aspect of the teacher’s book are the Activity Pages. These are reproducible. The Teacher Guide provides written copyright permission for copying pages 86- 126. I think these pages are too advanced for a K or 1st grader but I would recommend purchasing the teacher book for access to these pages if you have an advanced 2nd grader or wish to use the program with a 3rd grader. I love the suggested schedule provided by Classical Academic Press. It suggests a more structured or formal study 3 days a week while encouraging the student to practice her Spanish and listen to the CD 5 days a week. In theory this meant that I schedule the student book for M-W-F and listening to the CD for all 5 days. In reality though we often just listened to the CD on Monday and did the book on Tuesday, Wednesday (or Thursday) and Friday. The schedule suggests listening to the pronunciation guide on the first day as well as listening to the songs for the chapter. The pronunciation guide is a FREE resource available as an MP3 download right from the Song School Spanish product page! I would not have been as confident teaching Song School Spanish without this incredibly wonderful resource. I have trouble pronouncing English let alone trying to correctly say Spanish words! Learning Spanish has become a family affair as we all take turns helping Supergirl practice her Spanish. Here Tailorbear helps Supergirl “put on a play” using stuffed animals as “puppets” and acting out a short conversation (in Spanish) of “Hello” “How are you?” , “I am fine.” and “Good-bye”. This is a wonderful way to introduce Spanish to young children but there is one side effect; older siblings and parents may also find themselves learning a bit of Spanish as well and you may find yourself singing the songs at the oddest moments. Visit the Schoolhouse Review Crew blog to read what others have to say about Song School Spanish from Classical Academic Press. If you regularly read my blog or if you know me then you know that I am part of the Schoolhouse Review Crew. 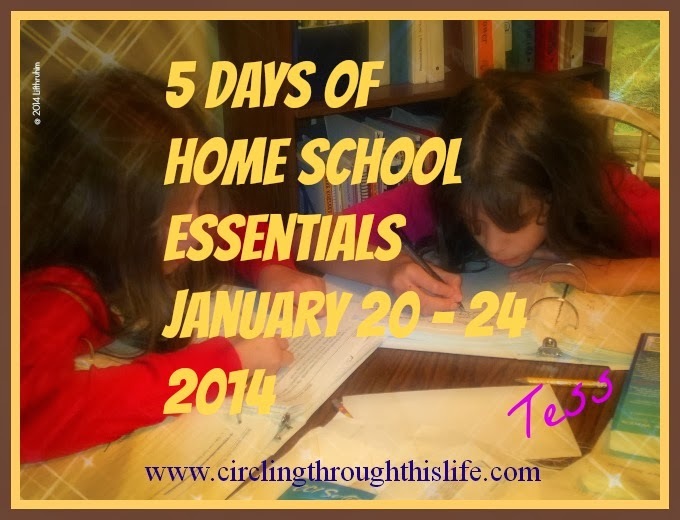 It is such a blessing to receive some great home school products to use with my children. Some days ALL the school we do seems to be related to the Crew. But today something unusual happened. Today two subjects collided. Math and Spanish came together as a musical. I was trying to get some work done. (OK I was trying to work on my review of Spanish if you must know) and Supergirl kept bringing me TouchNumerals. She would identify the number and count out the touchpoints (see you’ll want to read that review!). Eventually I sent her to the living room to just play. She doesn’t play quietly (and that my friends is a wonderful thing. For many years we wondered if she would ever talk; now we delight in hearing her play). I am quite certain that the numbers developed personalities. I might be mistaken but I could have sworn I heard a Spanish word or two and some singing. In Spanish. So what happens when two subjects collide in a home school? You get Spanish singing numbers acting out a play on the living room floor! Not a very creative title but it does describe exactly what makes these eggs so yummy. Cream cheese, butter, and milk are blended with eggs. Add some bacon and bake until done. These are fattening and dirty more dishes than I usually like to use but oh they are so worth it! I first discovered this recipe when I was 12 or 13 years old. It was the early 80’s and microwave cooking was a new technology. The department store where my mom purchased our microwave offered free cooking classes to new microwave owners. I got to attend class with her. It was during the class that we made these scrambled eggs. The original recipe only used 4 eggs and made 2 servings. I’ve adjusted the ratio of ingredients so that I can serve 5-6. If Daddy’s home (and I don’t usually make them when he’s home) we have to have some fruit or something besides just the eggs and toast or I’m going to have to try adding in a couple more eggs . I also changed the recipe so that it is baked in the oven instead of cooked in the microwave. We still use the microwave for melting the butter and cream cheese but not for the actual cooking. 1 cup crumbled bacon (sometimes I use left over cooked bacon but usually I cheat and use the crumbled bacon from Costco. It is better with the left over bacon but I’m lazy! In a microwave safe bowl, combine cream cheese, butter and milk. Microwave on high for 45 seconds. Remove, stir, and then microwave again for another 20 seconds or until the butter is melted and the cream cheese is trying to melt. In a separate bowl beat the eggs and then mix in the milk/cheese/butter mixture. Pour this mixture into a greased 2 quart casserole dish. Sprinkle bacon over the top. Bake at 350 degrees for 40-50 minutes or until knife inserted in center comes out clean. If you preheat the oven the cooking time is shorter but I’d rather cook it a little longer and not feel like I am wasting electricity. I want to try experimenting with different meats and blends of cheeses to see what other “egg bake” combinations we can make. I’m thinking ham would be fabulous or sausage and maybe some cheddar cheese? Or maybe a meatless variety with just a cheese blend? If you try this recipe with a different meat and/or cheese combo let me know how it turns out! What is your favorite egg recipe? Every home educating family has a list of reasons for why they home school. My family is no different. We home school because we feel it is the best way to meet our educational goals for our daughters. We home school because being a military family we desired consistency in education. We even list medical as a reason to home school. Supergirl has a diminished immune capacity and home schooling means she doesn’t get sick as often. But there is another reason. The secret reason. Well it’s more of a reason to continue to home school. It’s what keeps me inspired. It’s often the highlight of my day. History. I love teaching history or rather I love teaching history using a literature approach. In general I like to teach. In 6th grade I was voted most likely to become a teacher. In high school I briefly entertained the idea of attending a state college to be teacher. I married a man who holds a teaching degree (though he never sought certification). There is something special and wonderful and thrilling about sharing the joy of learning with a child. It’s even more wonderful and special and thrilling when it is your own child. Do you see a theme? BOOKS. When the girls were little hands down with no doubts whatsoever my favorite subject to teach was history. We used Sonlight, a literature rich curriculum that brings history alive. I did enjoy teaching science. I think that Tailorbear is on to something though. Now that the “big girls” are in high school (or nearly so) we’re no longer using the same literature rich approach to history but Tailorbear and I are enjoying studying literature together using Teaching the Classics by Adam and Missy Andrews. I am enjoying the discussions I’m having with Turtlegirl and BooBear as well. So I guess the secret reason I home school is that is gives me an excuse to read lots of great books, have stimulating discussions with my family and spend extra time with my daughters. Wow! February already. I promised myself that I would write at least one post a month about the books I am reading or have finished reading. So this post counts as my February Update to my Reading Goals for 2013. I’m happy to share that I finished both of the novels that I was reading. The Witness by Dee Henderson and The Battle of the Labyrinth by Rick Riordan I finished The Witness ages ago but just finished Labyrinth a few days ago. I haven’t decided if I truly liked the Witness but I might read a few more Dee Henderson to see if I like the author. I did like the Rick Riordan book and immediately started the last one in the series: The Last Olympian. I’m only on page 12 of 381. When I realized it doesn’t pick up immediately where Labyrinth left off, I decided to move the Olympian down on my priority list and I started Randy Singer’s False Witness. Mr. Singer ranks as one of my all time favorite authors but as much as I love Mr. Singer, this book is getting moved down my priority list. Why? Because I have been wanting to read the Cadfael series by Ellis Peters and I finally put the first two on hold at the library. I picked them both up yesterday: A Morbid Taste for Bones and One Corpse Too Many. Since those are library books I’ll want to read them and then I can go back and finish the other two I started. I do own (thanks to Paperback Swap) False Witness so I can take all the time I need to read it but I’m borrowing the Cadfael series. What are you reading? Have you recently read a fabulous book? I’d love to add more books to my “To Be Read” list. Wow! It’s February already! January just flew by. Maybe January moved so quickly because we stayed busy with school? Usually we hit the school doldrums, you know the “I want to do anything else even clip my fingernails than do any more school is it summer yet” time. I think of it as a type of burn out. Well we’re not experiencing that this year. Instead January felt like a brand new school year and we had the excitement that goes with the newness of a new year. You might be wondering “why did January feel like September, you do usually start your new academic year in September, right?” Well it’s because of the Schoolhouse Review Crew. Yes, I’ve been on the crew for a few “crew runs” now but this is different. The crew year used to run June through May. The Crew took kind of a break in the month of June and part of July before vendors would ship us the wonderful products. But the crew underwent some changes and transitions and now the crew year runs January-November. Well sort of. The important part is that the vendors start shipping the wonderful stuff in January which infuses new life in my home school and that means the burn out monster doesn’t have a chance to grow. We’ve had some new curriculum to try and THIS WEEK (In TWO Days!) the crew reviews will start appearing on various blogs. In two days the first Crew Blog Post for the very first Vendor for the 2013 Crew Run will go live on the Schoolhouse Review Crew Blog and the members assigned will start linking up! My first assigned review won’t post for another week or so (look for a Review of Song School Spanish after February 15!) You can see the list of upcoming reviews that I’ll be doing on my sidebar and I’ll be updating when I receive a new product. Just this week we’re starting TWO new products! I am so excited! Being part of the review crew is like getting a jolt of caffeine for my home school program. If you are looking for Elementary Science for your home school be sure and check out the Schoolhouse Review Crew starting THIS FRIDAY for reviews! “Stir Fry” in a Crockpot! I then thickened the sauce by mixing about 3 heaping tablespoons of cornstarch with about 1/4 cup water until smooth and then stirred into the crockpot. You’ll want to turn the crock pot up to high (if it isn’t already) and cook for another 20-30 minutes. This extra cooking is to thicken the sauce. My husband’s response? “yeah, that works.” which is about as close to a compliment as I ever get <grin> So overall it is a success. I got the Asian Stir Fry flavor I was looking for but without the work of standing and chopping veggies and standing and stirring at the wok. I buy meat in bulk packages when it goes on sale. I find it very helpful if I trim and cube or slice the meat BEFORE freezing. This helps the meat to defrost quicker and it saves me time when putting the food together in the crock pot. I think this recipe would work great (maybe better) with thin beef strips but I had cubes in my freezer and those worked fine. I’ve been meaning to write a gratitude or thankful post about the TOS Review Crew and this week’s letter ( T ) is just the right motivation to put pen to paper fingers to keyboard. Vendors started shipping products in early January for the 2013 Crew year. I am so excited that the new crew year is in full swing now. I’m currently reviewing several products (check out my upcoming reviews list in the right side bar) and I am just so thankful for the reviews I have been assigned. Handwriting without Tears ~ She’s using the 1st grade book. And we are really enjoying it! A+ Tutorsoft Math ~ She’s using the 1st Grade online program. The multimedia lessons are pretty cute. Song School Spanish~ I think this is the highlight of her school day! She loves listening to the CD every day. BooBear is busy hunting for scholarships for college for the fall and she’s using College Common Sense to help her navigate it all. Turtlegirl is using it as well to help her research potential colleges. I’m thankful that I have this resource for Turtlegirl. The timing was perfect! She asked me about researching colleges and the same day we received College Common Sense! Tailorbear and Turtlegirl are both so excited to be studying The Elements of Art and Composition the NEW 3rd Edition High School book 1 art program from ARTistic Pursuits. We just received it a few days ago and both girls have already completed the first lesson! I am so grateful for the Crew because both girls have been begging for help with drawing instruction. I am no artist and I don’t play one on tv either. Art is just “not my thing”. But it’s isn’t just getting great stuff that we need. It’s the fact that we have a need and God is meeting that need through the TOS Review Crew. I have lost track of the times I have prayed over a subject or a daughter or just cried out to God because we needed a change and a vendor interest form would post and it would be just the thing to meet the need. But that isn’t the sole source for my gratitude. I’m grateful for the friends I make. I am thankful for the encouragement I get to keep blogging. Because of the TOS Review Crew, I’ve found some blogs that I do really want to keep reading and I’ve found the encouragement to keep writing and posting. I’ve made friends who pray for me and I pray for them. I’ve cried with them and laughed with them. The TOS Review Crew isn’t just about reviewing curriculum; it’s about building relationships. Relationships between reviewers, between The Old Schoolhouse and reviewers, between reviewers and readers and between reviewers and vendors. I’m thankful for the experience of being a part of The Schoolhouse Review Crew and I am looking forward to a rewarding crew year.